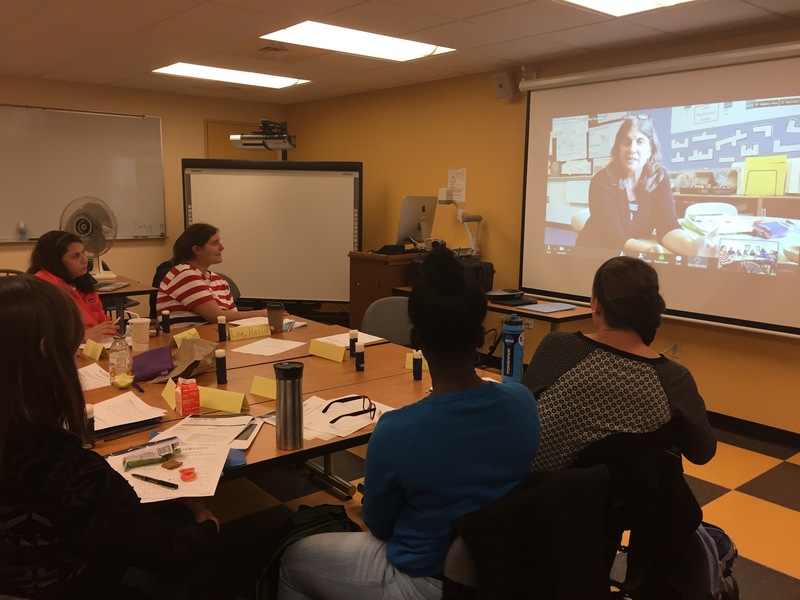 Undergraduates in Mike’s math methods class at Mount Holyoke College debrief with a classroom teacher after observing a live-stream of her teaching a math lesson on multiplication. What is The Virtual Lesson Study Project? The Virtual Lesson Study Project was developed by Mike Flynn through a grant he received from the Five College Blended Learning Project, through a larger grant from the Andrew W. Mellon Foundation. 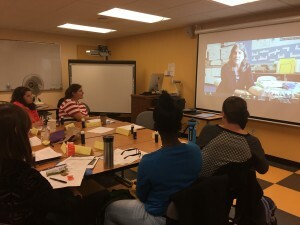 This virtual lesson study model is an innovative way to connect pre-service and/or in-service teachers from around the world to engage in the process of planning, teaching, and assessing lessons. Teachers are no longer bound by geographic constraints and can tap into classrooms and connect with teachers from around the world. 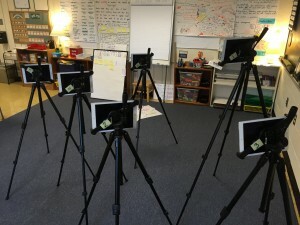 Virtual lesson study is an amazingly simple solution to the complex logistical problems we face when trying to connect teachers and classrooms. 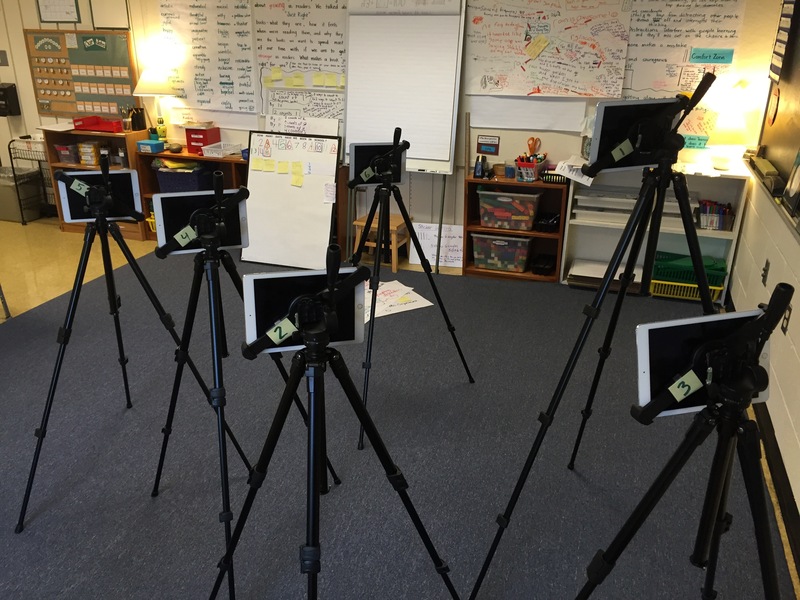 iPads are ready to be positioned throughout the classroom to capture and live-stream the lesson so we can observe our classroom at Mount Holyoke College. iPads allow us to see whole group instruction and follow the teacher around the room as she monitors the small group work. Massachusetts Association of Colleges for Teacher Education Fall Conference – October 30, 2016, Holy Cross, Worcester, MA.